Inside the classroom: Tidewater Community College students learn the fundamentals of criminal investigation procedures and techniques and learn from the real-world experiences shared by professors. They also examine crime scene search, collecting, handling and preserving of evidence. 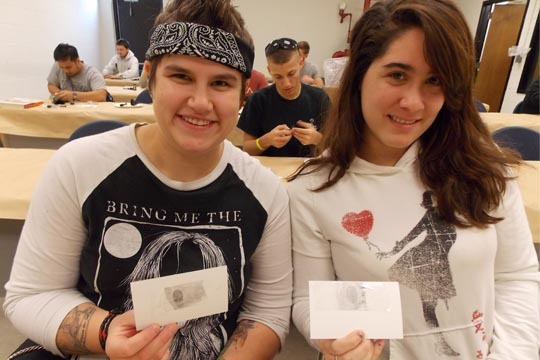 Students learn to use the latest in forensic technology as it relates to finger printing, blood, shoe impressions, castings, photography, facial recognition software and more. Why this class is sensational: “The hands-on activities we do in this class provide a multi-faceted approach to learning. By working with the latest equipment in forensic technology, we’re helping students determine if this is right the career path for them.” – Mike Glendon, Criminal Justice instructor and retired Virginia Beach Police detective.